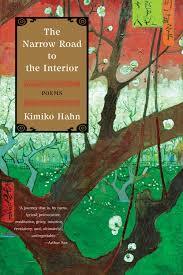 Kimiko Hahn’s The Narrow Road to the Interior is a memoir, poetry and essay collection all written in the zuihitsu style. Hahn’s essay/poems have a gentle rhythm that’s hard to nail down but easy to flow into. A kind of jazz feel emanates from the writings, so that the reader probably shouldn’t get too used to any one beat, but be ready to be taken on the journey, embracing whatever Hahn has ready around the corner. Zuihitsu, meaning “follow the brush,” is a Japanese narrative genre that has no real representation in the western creative nonfiction formats. The diary-like poetic form of creative nonfiction began in 7th century Japan and gained popularity there in the 11th century through the publication of Sei Shōnagon’s The Pillow Book. Shōnagon’s masterpiece, a collection of seemingly casual diary entries, lists, random notes on daily living and observations of court life, has a simplicity that belies the craft behind its compelling form, and has been lauded for the past thousand years as a work of beauty and wit. Kimiko Hahn takes Shōnagon to heart in this beautiful homage. Her highly crafted fragmentation creates a strangely fluid narrative. Although the original zuihitsu style was said to be random jottings, I liken Hahn’s style to taking a glass snow globe and dropping it on the ground. The centerpiece, the little piece of art that creates the theme of the globe is still in one piece, we can see what the theme is, but all around it are fragments, little pieces of glass that reflect and refract that theme. We can see a sliver of the centerpiece in every piece of shattered glass. With or without fluency, I can still love the zuihitsu as a kind of air current: and what arises is very subjective, intuitive and spontaneous – qualities I trust. Also a clear voice. That it was cultivated by women and feels significant — as a writing space for women. It is by its own nature a fragmented anything. I love long erratic pieces into which I can thrash around — make a mess. Lose the intellect. Begin with your own fleshy body to seek fragments that will sustain. To think of what we are left of Sappho’s work — so ravaged by patriarchal flames yet still enduring. Endearing. Not obliged to stay with a rational line of thought. I mean — I do not need to compromise a train of thought and, in such a way, can really explore raw material. This “space” includes all those traits women have been assigned, usually with negative connotations: subjectivity, intuition, irrationality (what short essays or lack of a formal structure suggest). What is wrong with subjectivity anyway? My facts. The fact of my experiences. The doctor told me I need a cone biopsy and because I am not having any more children she will be “aggressive.” I felt faint. I looked in her hands at the drawing of the uterus. I watched her point to the cervix and how she will cut. Hahn navigates deftly around these fragments; the main theme in the center of The Narrow Road to the Interior is her divorce. The fragments that reflect and refract all around that theme are her affair, her daughters, her sense of self as mother, as lover, as wife; her sense of rage at her ex-husband; her sense of self as someone who left, as a writer and poet, and finally as the observer — of herself. Hahn writes poetically, but this is not an imposition. There is nothing to “wrap one’s head around” when her poetry becomes nonfiction and her nonfiction becomes poetic. For all of their randomness, these essays/poems that make up the aggregate are not endless, arbitrary thoughts that the reader then must figure how to piece together. Hahn takes us down that narrow path and holds our hand the entire way; we make the connections as we go with her gentle guidance and come to the end of the journey whole. Julie C. Graham is an MFA candidate at Antioch University. She lives near Santa Monica, California. Check out her essay “Trailblazing Women Explorers,” a discussion of the memoirs of solo women adventurers, now available in two parts at the online arts and literature magazine Storyacious.